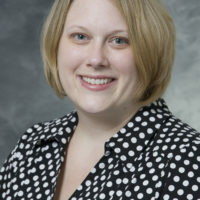 Sara Damewood, MD is currently the Emergency Ultrasound Section Chief and Clinical Ultrasound Fellowship Director for the Department of Emergency Medicine at the University of Wisconsin School of Medicine and Public Health. Her current interests include ultrasound simulation and measuring ultrasound competency for all levels of learners. Dr. Damewood received her medical degree at The Ohio State University College of Medicine, where her passion for emergency ultrasound was sparked while participating an integrated point of care ultrasound curriculum. She completed Emergency Medicine residency training, appointed as chief resident her PGY3 year, at Albany Medical College. Dr. Damewood found her interest in ultrasound simulation while leading a research project that compared using an ultrasound simulator to a live model to practice the FAST exam.